Fits the "Serein" watch heads. Glittering diamonds detail this elegant Michele Serein timepiece with decadence. Straps and bracelets sold separately. 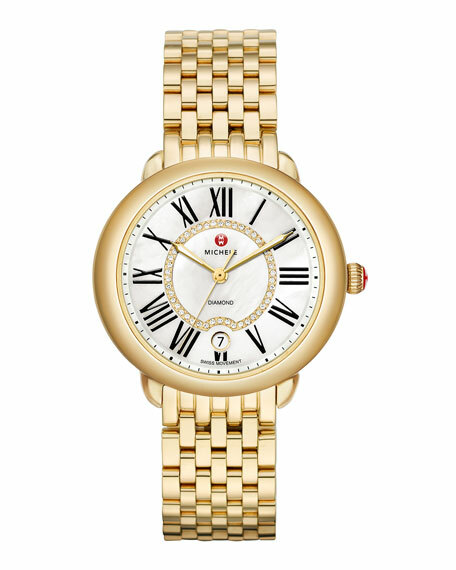 MICHELE Serein Style offers gentle curves and polished perfection. 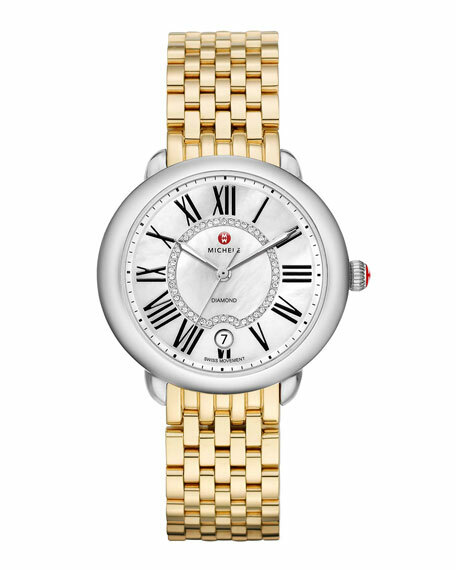 Stainless steel case, 36mm x 34mm (approx. 1 2/5" x 1 1/3"). 46 pave diamonds; 0.11 total carat weight. 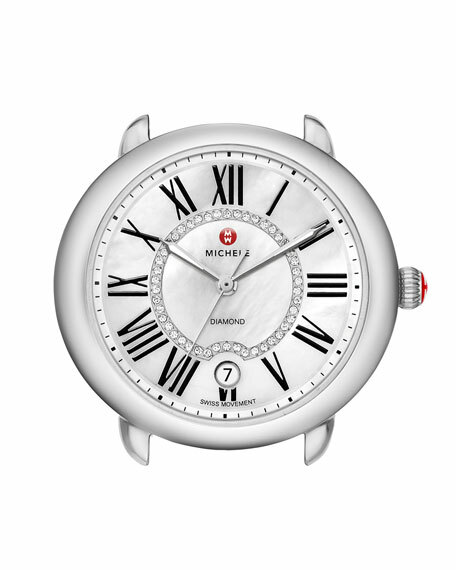 Round mother-of-pearl dial with black Roman numerals, red logo, and date window.